I woke up this morning to the news that there is to be a "radical national curriculum overhaul proposed for Wales". 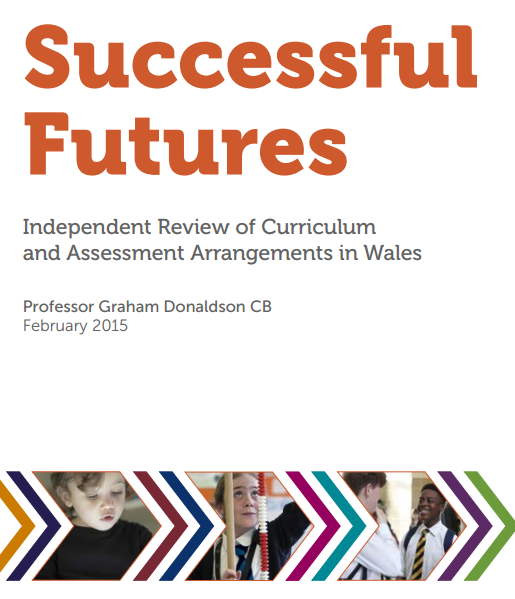 Professor Graham Donaldson today published his report titled 'Successful Futures', the result of almost a year long review into the curriculum and assessment in Wales. - The current separation of the curriculum into phases and key stages should be removed. Statutory schooling should be seen as a coherent and progressive whole, including the move between primary and secondary sectors. - Progression Steps should be identified within each Area of Learning and Experience at three-yearly intervals over the period of statutory education. - Literacy, numeracy and digital competence should be the responsibility of all teachers. These are so fundamental to thinking, learning and life that they should be developed and reinforced across the curriculum as a whole. Interestingly yesterday's blog finished with the question of whether Prof. Donaldson would take on board the findings of the ICT Steering Group Report or do something slightly different? The clear answer is that he has agreed with the recommendations in the report, in fact the main headlines on the news reports I've seen this morning have mainly mentioned how digital competency should be equally as important literacy and numeracy. I'm particularly happy that the Professor is using the term 'digital competency' and not 'digital literacy'. As I mentioned at the end of this blog post from last year, "Digital Literacy: the context for Wales and definitions", I particularly like the term digital competence as digital literacy, in my opinion, is a slightly ambiguous term. 6. Children and young people should have their learning developed across the curriculum through three Cross-curriculum Responsibilities that should be the responsibility of all teachers: literacy; numeracy; and digital competence. 7. A digital competence framework and an accompanying ‘Routes to Learning Digital Competence’ should be developed and be included as a Cross-curriculum Responsibility. - computer science would sit in the new Area of Learning and Experience called Science and Technology. - This is certainly a far reaching report and if fully accepted, in my opinion would fundamentally change education in Wales for the better, especially in the use of digital technologies. - Teacher CPD will need to be addressed. The Digital Competency Framework will now place emphasis on all teachers applying digital skills across all curriculum areas. For example, databases, spreadsheets, modelling and simulation have long been problem areas, as reported by Estyn. Something will need to be done to improve skills and confidence in these areas (and others), and also by providing help in spotting the appropriate opportunities to apply the skills in the curriculum. - Teacher CPD to support computer science. England brought in computer science elements into their new Computing PoS in September 2014 and there have been several reports saying that many of the schools are not confident in effectively teaching this aspect. - Are there enough available digital technologies in some schools to support the Digital Competency Framework? For instance, if a primary school of about 220 pupils has a set of 15 laptops and a small number of slate/tablet devices, can they effectively support the framework if teachers only have access to them for possibly half a day a week? - Where do the digital skills get taught? This is possibly more an issue in the secondary phase. Is there a digital skills session that teaches a particular skill and then applied via the framework in a subject area? Or is the subject area ie. history, expected to teach that ICT skill (every teacher being a teacher of Digital Competency, Literacy and Numeracy)? Back to my first comment about teacher CPD needs. - What are those digital competency knowledge, skills and attributes that we want to develop? 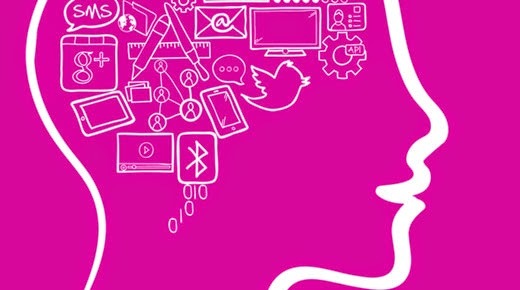 Basic functional skills; effective searching; online collaboration and sharing; finding and analysing data; creating and communicating information; safe, responsible and respectful use of the internet technologies? A lot to 'unpack' there.